DSA Mission Critical Services to Exhibit at the Data Center World Conference April 28-May 2, 2013, in Las Vegas, Nevada. DSA Mission Critical Services (DSA MCS), one of the nation's leading independent data center service organizations, announces its participation as an exhibitor at Data Center World, the nation’s premier educational conference and expo for data center and facilities management professionals. We’re excited to introduce DSA’s service organization to even more data center facility professionals at Data Center World. In response to increased customer demand for its preventative maintenance and emergency critical power service programs, DSA MCS is thrilled to announce that it will be exhibiting at Data Center World, one of the data center industry’s most highly attended events taking place from April 28-May 2, 2013, in Las Vegas, NV. Data center professionals interested in learning more about the multi-vendor expertise, managed maintenance programs and critical power asset performance benchmarking that DSA MCS provides should visit Booth #1443, or call John Raio at (646) 378-2223. DSA MCS, headquartered in Brookfield, CT, is one of the nation’s premiere independent data center service organizations. 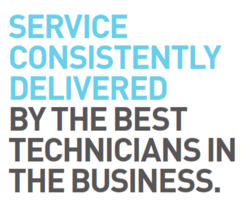 With years of experience servicing the nation’s top mission critical facilities across a broad range of industries and applications, DSA MCS prides itself on having the industry’s most disciplined service technicians—every one of whom is specially trained to identify, diagnose and repair mission critical assets from every major OEM. Plus, as part of the DSA Encore family of companies, DSA MCS offers unparalleled expertise borne of a corporate DNA focused on designing, building, equipping and servicing mission critical systems and facilities from the ground up. Data Center World is one of the nation’s top educational events for data center facility professionals. Educational sessions are designed for immediate impact in the data center and are carefully screened to ensure a vendor-neutral environment. Coupled with the event’s largest expo of technology and service providers in the industry, no other conference provides broader opportunities for education, connection, and guidance to the data center industry. This spring’s Data Center World event will take place at the Mandalay Bay Hotel and Casino in Las Vegas, Nevada, from April 28-May 2, 2013.